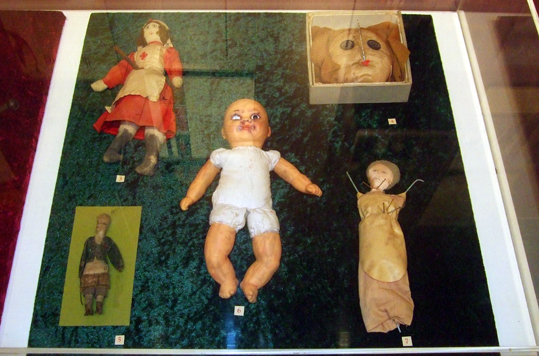 Here is photo I took of a display of magical dolls from the exhibition Poppets, Pins and Power that is currently on at the Museum of Wichcraft and Magic in Cornwall. I had a chance to go around it while I was at the cursing conference last weekend. It is absolutely fascinating and worth going to see, but it is only a temporary display that is on this year. My Pagan Eye posts show photos that I find interesting - seasonal images, pagan sites, events, or just pretty pictures. If you want to send me a photo for a Pagan Eye post, please email it to badwitch1234@gmail.com Let me know what the photo shows and whether you want your name mentioned or not. For copyright reasons, the photo must be one you have taken yourself.